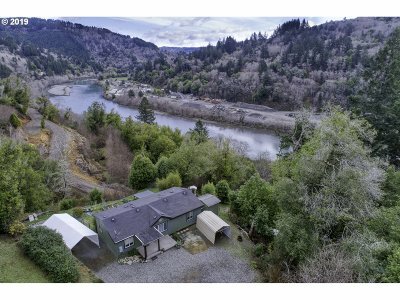 Private living up the beautiful Chetco River valley with views of the river. Just a few minutes drive to town, shopping and the beach. This 3 bed, 2 bath home has a open floor plan and is ready to be a forever home. Enjoy sunrises over the mountains and plenty of sun for the raised garden beds in the back yard.